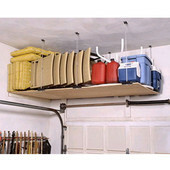 Tidy up your garage and work areas with new a selection of garage organization systems and accessories that will maximize space, keep items visible and organized, and get tools and equipment out from under foot. 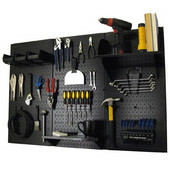 From mounted clips for bikes and golf clubs, to utility carts for safe tool storage, and ready-to-use kits to create that new gardening workspace, our wide selection of garage storage solutions makes organization easy. 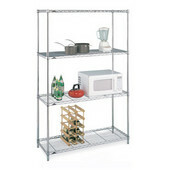 Choose convenient panel mounted systems and kits, free-mounted storage components, safety guides and mirrors, industrial quality work tables and seating, heavy-duty utility carts, durable shelving and cabinets and high-capacity shelving hardware. 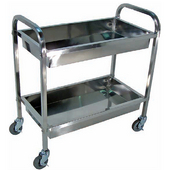 We also have a large selection of commercial and residential trash bins and recycling centers. 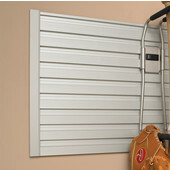 Our Slat wall panel systems and components allow simple adjustments to storage configurations and are available in an assortment of finishes. 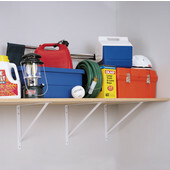 Arrange your household cleaners, paints, and odds and ends into movable baskets and shelves for a clutter-free environment. 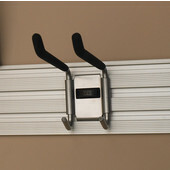 Free-mounted storage makes cleanup simple by providing hooks and clips that will easily accommodate loose cords, brooms, rakes, hoses and sports equipment. 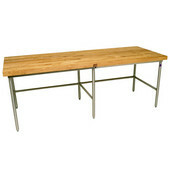 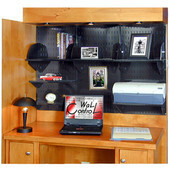 Sturdy work shelves and tables provide an excellent space for making repairs, or doing your favorite project. 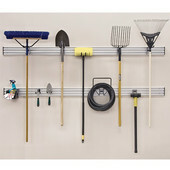 The possibilities are just around the corner with a fine selection of products for all of your garage organization needs that will suit any work area in your home.